As Europe’s longest running pub crawl, The Backpacker Pub Crawl has been on my radar for some time, so on a recent trip to Dublin, myself and three friends made sure not to miss it! Having experienced Dublin’s nightlife chaperone-free the night before, it was clear that a guided tour is the best way to experience the local scene. Like many popular nightlife destinations, the Temple Bar area of Dublin is swarming with club reps, invariably promoting the weaker establishments in the area. We hoped the Backpacker Pub Crawl would guarantee us a great night, and for most of the night we were not wrong! 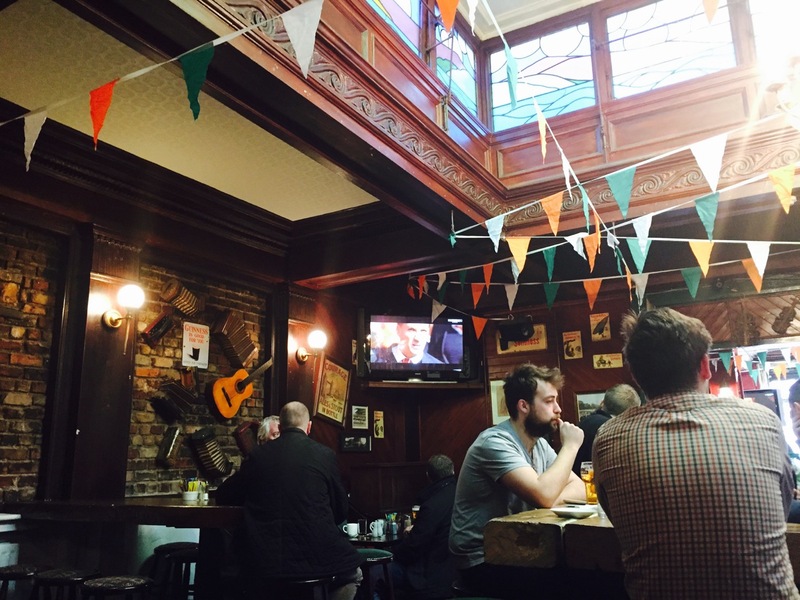 The pub crawl begins at the Mercantile, a large pub on Dame street near the centre of the city. Sign up begins at 8 pm, but don’t worry if you’re late – the first wave only sets off at 9, and if you’re late you can join the crawl later in the night. That’s right – this crawl is so big, groups are sent out to storm Dublin in waves – there must have been approaching 80 crawlers on our visit, making it one of the largest. This was also mid-March 2015, so far from peak season! After receiving our colour coded wrist bands (indicating which group we were in) and getting adequately fuelled with a complimentary Guinness each and several rounds of Jäger-bombs, we moved onto the main dance floor, as by around 8:30 the DJ had set up and was playing a range of Reggaeton and Dancehall anthems – not really what we expected, from an Irish pub, but fun none the less. By 9 o’clock the two first groups set off within minutes of each other on different routes through the city, alternating between venues. 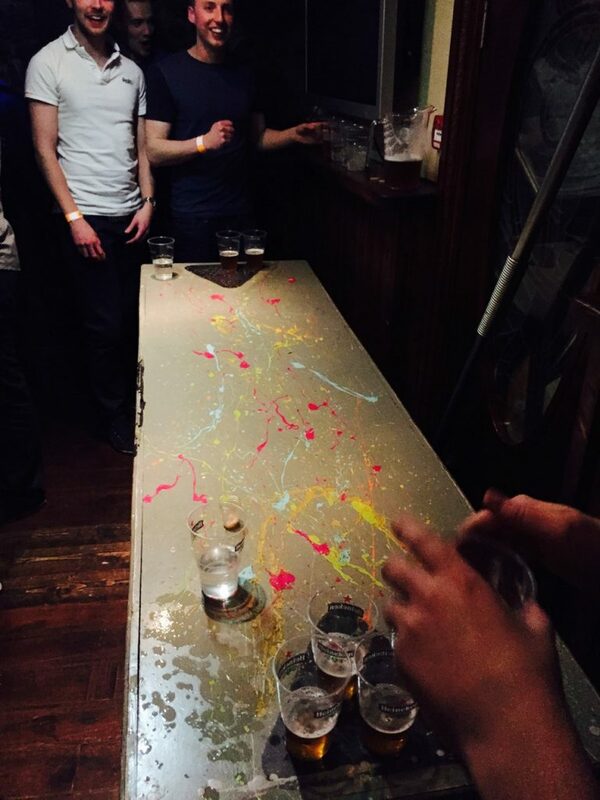 Our group was taken to the basement of the first pub, in the centre of Temple Bar, where several beer pong tables had been set up. After some free shots on entry, we were entered in an epic beer pong tournament. We began with a clash against a group of Northern Irish lads, who claim the Backpacker Pub Crawl is so good, they travel down from Belfast every fortnight to go on it! Despite this, they weren’t too good at beer pong, granting us a clean sheet for most of the game – not surprising as we’d been practicing against some Americans, who treat the game as their national sport. As the pub was quite large and with two main rooms, the group got split up, however we did get a chance to meet some fellow crawlers from around the world, including some Americans, Singaporeans and Aussies. 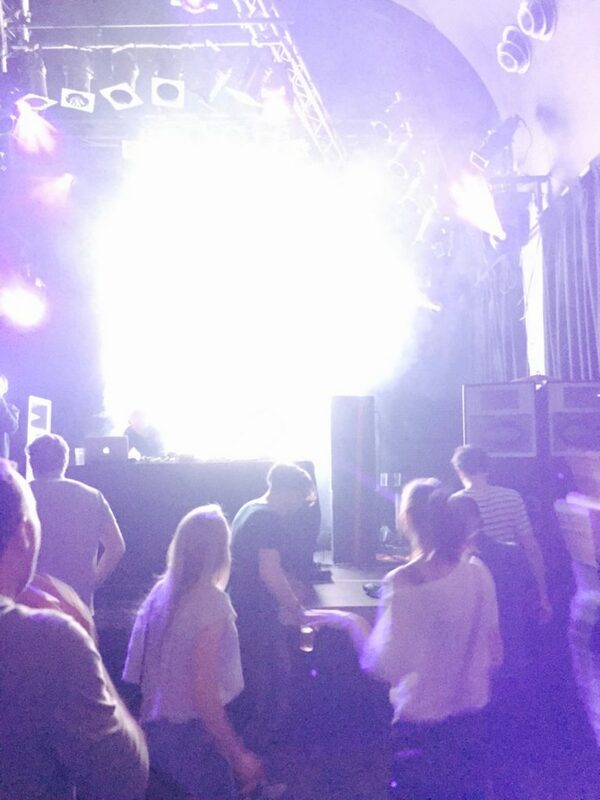 The final club was Opium – a restaurant by day, gig venue and club by night. Billed as one of Dublin’s premier multi-purpose entertainment venues, Opium is a sprawling club made up of multiple rooms. Entering the venue at the front, you’ll first find the main restaurant area, which is a cocktail lounge by night. Elsewhere you’ll find the main room, the largest room which has a massive stage and a large dance floor. When we arrived, the DJ in the main room was playing a mix of techno and house, which was definitely too cool for us. It was Dublin’s own scaled down version of East Berlin! Unfortunately the club wasn’t very busy when we went – even by 1:30 on the Saturday night we went, the main room was hardly full, which deflated the atmosphere somewhat. It’s not likely down to the time of year, either, as we visited Coppers the night before, which was packed to the rafters. By about 2:30 we had called time on the night and headed to the nearest Maccers. The Dublin Backpacker Pub Crawl is the largest I’ve been on, resulting in a big atmosphere for the early stages of the crawl. Unfortunately, as the group is split up some of the momentum is lost and the final club when we went was a bit disappointing, though that’s not necessarily down to the pub crawl organisers. However, the pub crawl is well organised and the the hosts make efforts to get everyone involved – the drinking games laid on near the start are are a great icebreaker, particularly for any solo travellers. 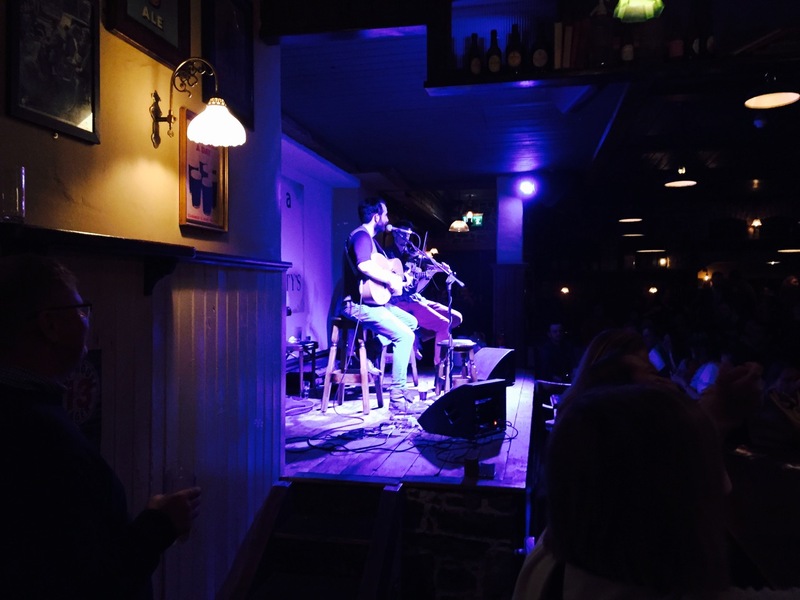 All in all, it’s worth a punt to experience some of the top pubs in the Temple Bar area with some fun fellow travellers, though for the final club you may be better off going to Coppers!